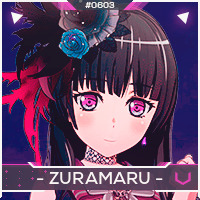 - Zuramaru -'s posts | osu! Yeah, that’s what I was going to suggest if it didn’t work. It won’t. In order for your stats to update you need to be online whenever you submit scores. Press F10 in game to disable mouse buttons. Make a silent .wav file, name it combobreak.wav and put it in your skin folder. Make sure disable beatmap skins is checked in the options menu. Yeah. Just drag the new picture in and rename it to the old background’s file name. Yeah, in general a larger area gives more control over your aim. Good luck with improving! This is the only in game fullscreen PP display that I could get to work. Thanks for this! The osu cookie will very likely never be able to be modified.